Engaged?… Want to be better prepared for marriage? Not sure if you are having mental troubles or spiritual troubles? Addiction of any kind? Beyond 12-steps, overcome your compulsion by addressing deeper, key root causes. Trauma – Crisis – Loss? ​​​”I can do all things through him who strengthens me. Brown Bag Lunch Grief Support 1 May 2019 at 12:00 pm – 1:00 pm St. Joseph Catholic Church, 600 S Jupiter Rd, Richardson, TX 75081, USA Enjoy lunch while gathered with others seeking to learn how to deal with the many facets of grief. 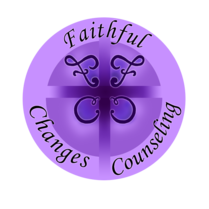 Each month we will cover a different aspects of grief and mourning.